DIA China 2019 Registration Now Open! Join thousands of your peers! Register by March 31 to save with Early Bird Rates! DIA China 2019 Annual Meeting Program At-A-Glance Released, find 14 themes and 80+ sessions to choose from. Call for Professional and Student Posters Now Open! The Professional and Student Poster Program provides an opportunity for research to be presented to a diverse group of scientific professionals. The call will close March 31. 11th DIA China Annual Meeting 2019 is the largest, event in the life sciences industry designed to foster the international exchange of actionable insights to improve health globally through the advancement of lifesaving medicines and technologies in the APAC region. The DIA China Annual Meeting 2019 will bring together 3000+ pharmaceutical R&D professionals from different continents and regions, involved at all levels of the health care product development spectrum, to discuss recent and upcoming transformational changes for China’s innovation and regulatory environments. 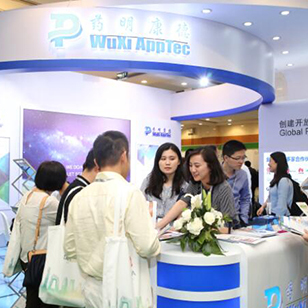 DIA China 2019 boasts more than 120 exhibiting companies, over 14+ themes, more than 80 sessions and explorable networking opportunities. Why Attend DIA China 2019? Watch The History of DIA China Annual Meetings to find out why! Don’t miss the opportunity to foster the international exchange of actionable insights! What can you expect from DIA China's program in 2019? The Program update will be released daily! Take advantage of the Early Bird Rates while they last! Share your research and bring your content to a wide, interdisciplinary audience.